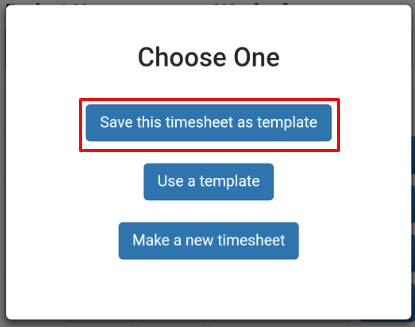 Before you enter anything to your timesheet, you will be given an option to save it as template. 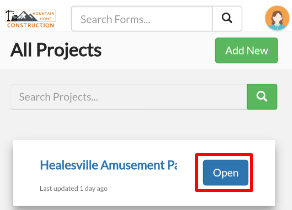 This is more convenient if you will be inputting the same set of records every time you submit a timesheet. 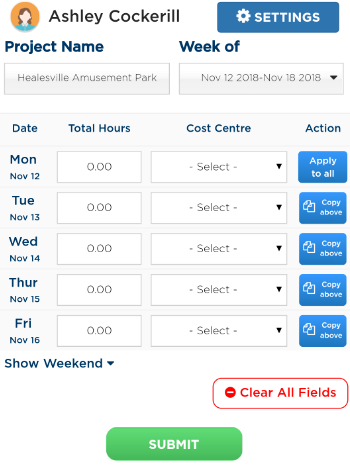 From your search bar, type in Timesheet then select the suggestion that will be shown. 2. Upon loading of form, you are given three options. 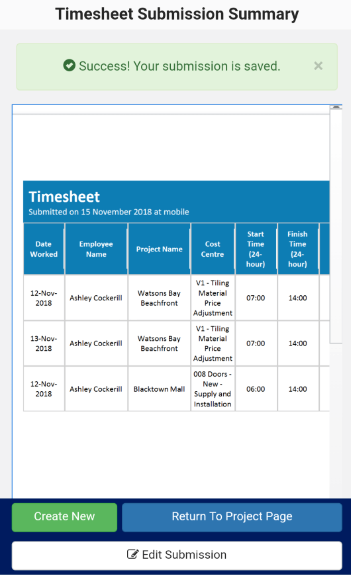 Click Save this timesheet as template. 3. 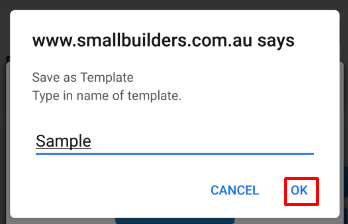 Label your template then click OK.
4. You will be directed to the form. Fill out the necessary fields. 5. Click Submit. You will be redirected to the submission summary. Your template is also successfully saved after submitting the form.